edmonton election 2010: surveys say. What character from fiction do you most relate to/is most like you? Jamie Post – Ward 1: Hard to say, at the moment I’d have to go with Dr. Watson. Scott Robb – Ward 4: I generally don’t read fiction, but I usually relate to the conflicted hero type. Thomas Roberts – Ward 6: Can not think of any that is close to me– would love being a combination of Captain Jack Sparrow and Sherlock Holmes, and avoid Dorian Grey(what little I know of the charactor)/Falstaff. Scott McKeen – Ward 7: OK, that’s tough. I’ll pick Frodo from the Lord of the Rings. A reluctant hero who faces his constant fear to reach journey’s end. Grant Pullishy – Ward 7: Stephen King- I love thrillers. Lori Jeffery-Heaney – Ward 8: Hmm, hard to answer – I am more of a non-fiction reader. Hana Razga – Ward 8: Margaret Laurence Stone Angel’s Hagar Shipley – in about 30 years. Shane Bergdahl – Ward 11: That is difficult to say. Frodo from the Hobit and Lord of the Rings comes to mind. A normal person (of sorts) tasked with doing great things. Roberto Maglalang – Ward 11: Tom Sawyer. Chinwe Okelu – Ward 11: None. Brent Schaffrick – Ward 11: Some days, Dilbert, most days I seem to walk a different path then characters in books. 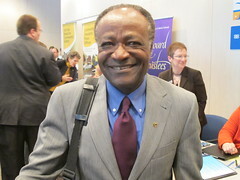 Daryl Bonar – Mayor: I think Rocky Balboa. He perservered with brute force and ignorance as well as a never say quit attitude. He didn’t have all the natural talent and had to overcome many obstacles but his work ethic carried him. I try my best to emulate these traits. Dan Dromarsky – Mayor: My favorite fictional character is James Bond but how we relate or are alike is also fiction. Dave Dowling – Mayor: Frodo. Stephen Mandel – Mayor: I don’t know that he’s like me but the Gene Hackman character as the coach in Hoosiers. You can also read questionnaire responses from the Professional Arts Coalition of Edmonton, the Canadian Cancer Society, Cycle Edmonton, and the Realtors Association of Edmonton. If you have links to any other surveys and questionnaires, feel free to post a link in the comment section below. This entry was posted in Edmonton Politics and tagged Al Slemko, Brent Schaffrick, Chinwe Okelu, Dan Dromarsky, Daryl Bonar, Dave Dowling, Don Iveson, Grant Pullishy, Hana Razga, Jamie Post, Lori Jeffery-Heaney, Roberto Maglalang, Scott McKeen, Scott Robb, Shane Bergdahl, Stephen Mandel, Thomas Roberts on October 12, 2010 by Dave Cournoyer. edmonton election 2010: first mayoral debate. Anytime I walk into an election candidates forum I almost immediately think of this great scene from Season 3 of the West Wing. Maybe I am a dreamer, but I hope that one day I will witness a debater who reaches the level of President Josiah Bartlett. I was not sure what to expect when I ventured into the packed auditorium at Harry Ainlay High School on Edmonton’s south side. Walking the halls of the giant high school, I remembered the last time I had been in that building was for a Ward 5 (now Ward 9 and 10) all-candidates forum in 2007. I remember that auditorium three years ago being packed with skeptics of then-Councillor Mike Nickel and supporters of first-time challenger Don Iveson. Last night, I entered the auditorium two minutes before the candidates took to the podium and I wedged myself into a seat in the back row next (which ended up being right next to City Clerk Alayne Sinclair and elections staff, who were overseeing the event and updating the @EdmontonClerk twitter account). While last night was nothing comparable to the Bartlett-Ritchie debate in the video about, it was a raucous evening. Over the course of the evening, the boisterous crowd jeered, cheered, and heckled the candidates when different issues various pet issues mentioned (the City Centre Airport, the Art Gallery of Alberta, and… David Suzuki and climate change). First time candidate Dan Dromarsky was the most likable among the candidates. While answering each question, Mr. Dromarsky beamed with genuine concern for Edmonton and demonstrated that he had also done his homework when it came to a lot of the issues. His performance last night made me wish that he would have decided to run for City Council, instead of a Mayoral position that he has no chance of being elected. Although he did not have a huge impact on the debate, Daryl Bonar has positioned himself as the most aggressive alternative to Mayor Stephen Mandel. His “fight back” campaign and actual platform positions presented a contrast to the other challengers who appeared unprepared for their candidacies. The most entertaining candidate of the evening turned out to be Bob Ligertwood, who used every opportunity to decry the Internet and Facebook (even stating at one point that the Oil City Roadhouse should be shut down so that the Police could monitor computers at the public libraries). Candidate Andrew Lineker touched on some fair points about the transition of EPCOR to Capital Power, and Dave Dowling was remarkably subdued in light of his previous runs for Mayor. David Dorward seemed like a nice man who would probably be a great financial adviser, but his focus on repeating platitudes and grasping for political points left me wondering if had the leadership skills or vision to lead an entire City. His campaign has the backing of Envision Edmonton lobby group and the support of their wealthy financial backers, which puts him in a financial advantage over the other challengers. Mr. Dorward has only made one policy announcement (on seniors taxes yesterday) and his campaign has yet to show that he has the policy depth to be a successful Mayor. It is unfortunate that his campaign feels like it was thrown together at the last hour. Had Mr. Dorward began preparing his bid earlier in the summer, rather than a week before the election period started, the Edmontonians in the room last night probably would have seen a more vigorous debate centered around ideas and vision, rather than platitudes and talking points. Two-term Mayor Stephen Mandel was the most confident and answered questions with a confidence that none of the other candidates had. He fumbled a few questions, but gave the impression that of the three serious candidates (himself, Mr. Bonar, and Mr. Dorward), he was the only one who actually understood how governance works. I voted for Mayor Mandel in 2004 and 2007, and I generally believe that he has done a good job over the past six years. I also support City Council’s decision to close the City Centre Airport over a phased period of time and redevelop the lands. On some other issues, I have been less impressed with the Mayor. I am not comfortable with his cozy relationship with the Katz Group in light of their request for City funding of a downtown arena and I am skeptical about the City’s bid to host the 2017 World Expo. As a young Edmontonian, I also feel that the City should be more aggressive in promoting the construction of family-orinented densification and infill in the urban core, something that none of the candidates spoke about last night. Most of Mayor Mandel’s challengers demonstrated a fairly evident lack of understanding of how our democratic process and representative democracy functions. 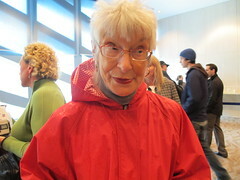 Mr. Dorward’s supporters in the crowd jeered at the Mayor and the challengers charged that it was undemocratic for City Council to have rejected a plebiscite on the City Centre Airport redevelopment. None of the challengers thought to mention that the petition was ruled invalid under provincial law. If a candidate cannot demonstrate that they understand how a clearly laid out petition process works, then it is difficult for me to imagine them tackling the macro-level important issues facing the City. Edmontonians deserved a better debate last night and Mayor Mandel deserved a more serious challenge in this election. Unless the challengers undergo a miraculous change between now and October 18, we may have to wait to see what October 2013 has to offer us. This entry was posted in Edmonton Politics and tagged Alayne Sinclair, Andrew Lineker, Bob Ligertwood, Dan Dromarsky, Daryl Bonar, Dave Dowling, David Dorward, David Suzuki, Don Iveson, Josiah Bartlett, Mike Nickel, Stephen Mandel on September 24, 2010 by Dave Cournoyer. 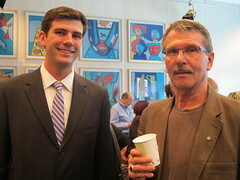 edmonton election 2010: nomination day at city hall. It was Christmas morning for political watchers this morning as candidates poured into City Hall to file their nomination papers. I have been to a lot of different political events in my time, but nothing has so far matched the euphoria of Nomination Day at City Hall. Starting at 9am, bright eyed and well-intentioned candidates began to line up to submit their papers. As they moved down the line, candidates were peppered with questions and camera flashes by the media. For most candidates running in this election, this will be the closest they get to walking the red carpet. After filing their nomination papers, candidates were scrummed and pressed by the media about who they were, where they were running, and what their positions were on pressing issues. Most of the media questions had to do with the decision to redevelop the City Centre Airport lands, but candidates also brought up their pet issues. Some candidates, like Councillor Jane Batty, came and left quickly. Others, like Ward 11 candidate Kerry Diotte, lingered to get as much media coverage as possible. Different styles for different candidates I suppose. I was able to live-tweet this morning and you can see those tweets at @davecournoyer and others at #yegvote. You might think that 30 days is a short time to reasonably campaign for election, and you would be right, but there were many candidates who came out of the woodwork to launch their campaign today. Most candidates came prepared and some, like Ward 11 candidate Vishal Luthra, came with campaign t-shirt toting entourages. One unfortunate Mayoral aspirant, Cheryl Ullah, came with her nomination papers signed, but forgot to bring her $500 deposit with her. In a bizarre scene, she started collecting donations from reporters and other candidates only 10 minutes before the nomination deadline. Although she was able to raise $90 in about 8 minutes (with a generous $60 donation from Ward A Public School Board Trustee Cheryl Johner), she was unable to make up the extra $410 and dropped out of the race. Don Koziak has now lost the record for shortest Mayoral candidacy. Luckily for Edmontonians, Mayor Stephen Mandel and challengers Daryl Bonar, David Dorward, Dave Dowling, Dan Dromarsky, Bob Ligertwood, and Andrew Lineker remembered their $500 deposits. Out of 114 candidates who submitted their nomination papers today, only two were acclaimed. Incumbent Public School Board Trustees Dave Colburn (Ward D) and Catherine Ripley (Ward H) will not face any challengers on October 18. There had been rumours that some City Councillors may also be acclaimed, but in the end a few last-minute candidates filed papers to run against Councillor Don Iveson (Ward 10) and Councillor Karen Leibovici (Ward 5). There are new candidates and competitive races across the City, but there are three City Council Wards that at this point stick out in my mind as the hot races to watch. Curiously, they are in Wards with prime numbers. 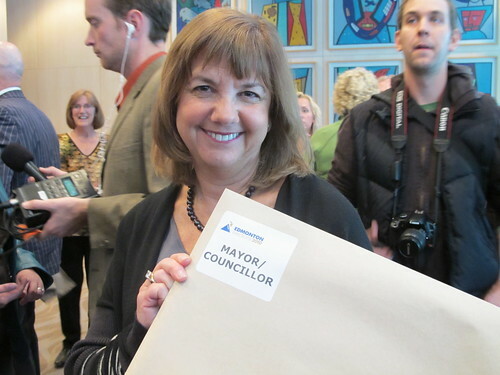 Councillor Karen Leibovici is seeking re-election in Ward 5. In the incumbentless Ward 3, Former Liberal candidate Kim Cassady filed his papers to run for City Council in Ward 3, taking on challengers Dave Loken and Terry Demers. This is Mr. Loken’s third time running for City Council and Ms. Demers second. As retiring Councillor Ron Hayter‘s Executive Assistant, Ms. Demers will have a special insight into the issues in this Ward. New entries into the Ward 3 contest are Shawn Philip Fairbridge, Hatem Naboulsi, John Oplanich, Greg Siver, Louis Sobolewski, and Michael Suess. In Ward 7, former Edmonton Journal columnist Scott McKeen put his name forward last week to run against Councillor Tony Caterina. Challenger Brendan Van Alstine has been pounding the pavement for over a year to unseat Councillor Caterina, so Mr. McKeen’s entry had added some extreme unpredictability to the race in this north east central Ward. Other candidates entering the contest in Ward 7 today are Terry Rolls and Grant David Pullishy. Candidate Chinwe Okelu is standing for election in Ward 11. It also appears that some of the most competitive contests in this year’s election might be at the School Board level. In south central Ward F, long-time Public School Board Trustee Don Fleming is not seeking re-election, leaving a three-way race between Michael Janz, Bev Sawyer, and Joanna Rozmus. In Ward G, incumbent Trustee George Rice is facing some serious competition from Sarah Hoffman. Attending Nomination Day at City Hall was an interesting and worthwhile experience. At no other time during the next 30 days are all of the candidates going to be in the same room at the same time. This morning have me the opportunity to put the names (and websites, Facebook groups, and twitter accounts) to the faces and actually talk with some of the candidates. I hope that all the readers of this blog take the time to read up and try to meet with the candidates standing for election in your area. As the campaign begins in full (and the full list of candidates are released this afternoon), I will be taking a closer look at each Ward contest, the Mayoral election, and the races at the School Board level. This entry was posted in Edmonton Politics and tagged Andrew Lineker, Bev Sawyer, Bob Ligertwood, Brendan Van Alstine, Brent Schaffrick, Catherine Ripley, Cheryl Johner, Cheryl Ullah, Chinwe Okelu, Dan Dromarsky, Daryl Bonar, Dave Colburn, Dave Dowling, Dave Loken, David Dorward, Don Fleming, Don Iveson, Don Koziak, George Rice, Grant David Pullishy, Greg Siver, Hatem Naboulsi, Jane Batty, Joanna Rozmus, John Oplanich, Karen Leibovici, Kerry Diotte, Louis Sobolewski, Michael Janz, Michael Suess, Roberto Maglalang, Ron Hayter, Sarah Hoffman, Scott McKeen, Shane Bergdahl, Shawn Philip Fairbridge, Stephen Mandel, Terry Demers, Terry Rolls, Tony Caterina, Vishal Luthra on September 20, 2010 by Dave Cournoyer.